TOKYO. The so called Independent Governance Committee (IGC), appointed by FIFA and Committee chair Mark Pieth (Basel Institute of Governance) seems to be a big disappointment. Is this committee really independent? There are way too many reasons to doubt. Roger Pielke Jr. has offered a first review on his blog The Least Thing. Before offering Roger’s article I copy-paste all information which have been officially published about composition of IGC so far. Since we are talking about Good Governance and Transparency and since FIFA’s propaganda is going around the world without proof (see newest Makudi example) I would expect much more and really transparent information. I don’t know yet if Mark Pieth is really aware of this (his) obligation. Sunil Gulati is the current president of the United States Soccer Federation (USSF) and a lecturer in Economics at Columbia University. He serves as a senior advisor to the Kraft Group. Elected in March 2006, Gulati has been one of the most influential figures in the development of US soccer over the past 30 years. Gulati served as USSF Vice-President for six years and played a key role in major USSF decisions for many years prior to his election as president. 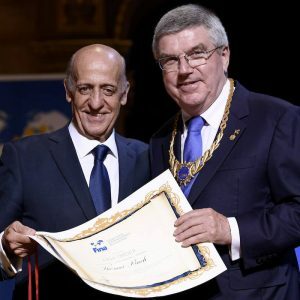 Leonardo Grosso has been a FIFPro Board Member since 1994 and FIFPro President since 2010. He began his career as a goalkeeper in Serie A with Genoa in 1963 before joining Serie B club Perugia in 1970. After four seasons with Perugia he signed for SPAL Ferrara in 1974 before ending his career with Modena in Serie B in 1978. During his 15-year career he performed in over 400 league appearances in Italy’s two top divisions. Leonardo is a professional lawyer, an AIC (Italian Players’ Union) Board Member, the President of the AIC UNLUS Solidarity Fund and a member of the Board of the Fondo Fine Carriera Giocatori ed Allenatori di Calcio (a Fund for Football Players and Coaches who ended their career). He also serves as vice-commissioner of ENPALS (a social services institute for professional athletes). Lydia Nsekera has been serving as president of the Fédération de Football du Burundi since 2004, and as a member of the International Olympic Committee since 2009. She holds a degree in economic and administrative sciences at the University of Burundi. In addition to her roles at the Fédération de Football du Burundi and the IOC, she was a member of the NOC Women and Sport Commission (2001-2006); a member of the Organizing Committee of the 5th African women’s football championships (2006), a Member of the Women’s Football and Futsal Commission of the African Football Federation (CAF) (2006-), among others. She is currently a member of the Commission d’Organisation Tournois Olympiques de football and the Commission de Football Féminin et de la Coupe du Monde Féminine de la FIFA. She is a Winner of the IOC Women and Sport Trophy (2009). Lord (Peter) Goldsmith QC, PC is Chair of European and Asian Litigation at Debevoise & Plimpton LLP. Lord Goldsmith served as the UK’s Attorney General from 2001-2007, prior to which he was in private practice as one of the leading barristers in London. He became Queen’s Counsel in 1987 and has judicial experience as a Crown Court Recorder and a Deputy High Court Judge. Public appointments he has held include: Chairman of the Bar Council of England and Wales, Co-Chairman of the International Bar Association Human Rights Institution, Board member of the American Bar Association Rule of Law Initiative, Co-Chairman of the ICC Taskforce on Arbitrations Involving States and Chairman of the UK Financial Reporting Review Panel. He has an active international litigation practice and is a current member of the British House of Lords serving on the House of Lords Select Committee on the Constitution. Alexandra Wrage is the president and founder of TRACE, an international non-profit membership association working with companies to raise their anti-bribery compliance standards. TRACE provides compliance tools and services to its members, including more than 200 multinational companies and more than 3000 SMEs in over 130 countries. Ms. Wrage is the author of Bribery and Extortion: Undermining Business, Governments and Security and the host of the DVD Toxic Transactions: Bribery, Extortion and the High Price of Bad Business produced by NBC. She has written three compliance guidebooks and is a guest blogger on the Huffington Post. Ms. Wrage speaks frequently on topics of international law, anti-corruption initiatives and the hidden costs of corruption and regularly writes articles appearing in the business and legal media. She has served as Chair of the Anti-Corruption Committee of the American Bar Association’s (ABA’s) International Section and Chair of the International Legal Affairs Committee of the Association of Corporate Counsel and is a longstanding member of the Working Group for the United Nation’s Global Compact 10th Principle. Ms. Wrage, a Canadian, read law at Kings College, Cambridge University. Michael Hershman is President and CEO of the Fairfax Group. He is an internationally recognized expert on matters relating to transparency, accountability, governance and security. The Fairfax Group has advised governments, corporations and international financial institutions on issues pertaining to the conduct of senior-level officials and/or the entities with which they do business. In December 2006, Mr. Hershman was appointed Independent Compliance Advisor to the Board of Directors of Siemens AG, a company with more than 400,000 employees. Hershman served as Senior Staff Investigator for the Senate Watergate Committee, the Chief Investigator for the Federal Election Commission, and as Chief Investigator for a joint Presidential and Congressional Commission reviewing state and federal laws on wiretapping and electronic surveillance. Immediately before founding the Fairfax Group, Mr Hershman was Deputy Auditor General for the Foreign Assistance Programme of the U.S. Agency for International Development (USAID). Mr Hershman is a Member of the Board of Directors and Chair of the Audit Committee for the Canter for International Private Enterprise. For the past ten years he has been a member of, and Vice Chairman of the INTERPOL International Group of Experts on Corruption (IGEC), and for the past 12 years, he has sat on the Board of the International Anti-Corruption Conference Committee (IACC). For the past three years, Mr Hershman has been selected as one of the one hundred most influential people in business ethics by the Ethisphere Institute. Michael Hershman is founder of the International Anti-Corruption Academy an International Organization located in Austria and is Chairman of the Academy Senior Advisory Board. Guillermo Jorge is founder and managing partner of Guillermo Jorge & Asociados, a Buenos Aires based legal and consulting firm specialized in preventing and enforcing anticorruption and anti-money laundering laws and regulation and asset recovery remedies. Guillermo is also an active consultant for international organizations and Latin American governments. Guillermo is also the Director of the on Program on Corruption Control at San Andres University School of Law. Guillermo was Drapper-Hills fellow at the Center for Democracy, Development and the rule of Law at Stanford University (2009), Reagan-Fascell fellow at the National Endowment for Democracy (2006), and fellow at the Stanford Center for Latin American Studies (2002). Recent publications include International Standards against Money Laundering, in Bernd Klose (ed. ), Asset Tracing & Recovery, The FraudNet World Compendium, 2nd Ed., Dr. Erich Schmidt-Verlag, Berlin, Germany, forthcoming, 2012; Políticas de control de lavado de dinero, in Tokatlián, Juan G. (ed. ), Drogas y prohibición: una vieja Guerra, un Nuevo debate, El Zorzal, Buenos Aires, 2010; Recuperación de Activos de la Corrupción, Editores del Puerto, Buenos Aires, 2008; The Peruvian Efforts to Recover Proceeds from Montesino´s Criminal Network of Corruption, in Pieth, M. (ed. ), Recovering Stolen Assets, Peter Lang, Bern, 2008. Guillermo holds a law degree from Buenos Aires University (1995) and an LLM from Harvard Law School (2003). James Klotz is a partner at Miller Thomson LLP, and Co-Chair of the Canadian firm’s International Business Transactions Group. 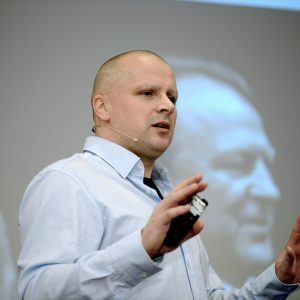 Having led complex corporate and commercial transactions in more than 108 countries, he is widely respected for his deep knowledge and practical experience in the international business arena, his area of specialty. International anti-corruption is a related practice area. Mr. Klotz is currently President and Chairman of the Board of Transparency International Canada Inc. He is also Chair of the Bar Issues Commission of the International Bar Association, and Vice Chair of the Anti-Corruption Committee of the American Bar Association’s Section of International Law. He was previously Chair of the Canadian Bar Association’s International Law Section and Chair of its Anti-Corruption Task Force. Mr. Klotz is an Adjunct Professor of International Law at Osgoode Hall Law School. François Morinière has been CEO of Groupe L’Équipe – Groupe Amaury, the market leaders in sport information since September 2008. Responsible for strategy, editorial content and financial results, François manages and oversees the development of the totality of the groups‘ printed media (L’Équipe, L’Équipe Mag, France Football, Vélo Magazine, Sport & Style, Journal du Golf, etc.) as well as its digital activities (internet, TV, mobile etc.). Before joining the L’Équipe Group, Mr. Morinière has been the Managing Director and later the Chairman of the Executive Board of CBS Outdoor France. Is this an Independent Committee? As several influential NGOs from around the world have demanded, the reform process needs to be supervised by experts with a broad spectrum of specializations. This includes people who have deep knowledge of the world of football and experience in the processes that are now being looked at, including players, representatives of associations, marketing representatives and media rights representatives. It also includes experts who bring a different perspective, such as NGOs, and representatives of civil society. Lastly, there need to be specialists with professional governance-related know how such as lawyers of high standing, governance experts and investigators. This is necessary to cover all the skills and perspectives needed to support the governance reform. The Independent Governance Committee (IGC) will have the following tasks: It monitors and reviews the recommendations of the four FIFA Task Forces (Football 2014, Ethics Committee, Transparency and Compliance, Revision of Statutes) and submits the final recommendations to the FIFA Executive Committee. The IGC is independent in its recommendations and is the final authority to submit recommendations to FIFA`s Executive Committee. The IGC cannot legally enforce any changes. However, it does have the right to monitor the decision-making and implementation of its recommendations. ICG will regularly inform the public about the progress made. Why are the Members not working pro bono? Establishing good governance for FIFA is a serious and time-consuming professional task. It is comparable to other professional services and related responsibilities, such as audit work, forensic services, or compliance monitoring. Such work is appropriately remunerated. Of course, each Committee member is free to decide how to use his or her remuneration, including whether to use the funds for non-commercial purposes, such as university research. Is the IGC looking into the past? 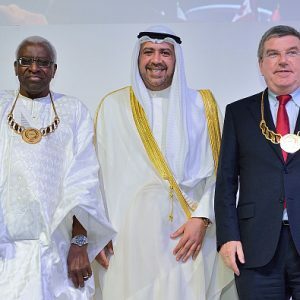 The primary goal of the effort is to establish good governance for FIFA in a timely manner, taking into account its economic, social and political significance (e.g. current officials will need to undergo the due diligence process, e.g. conflict of interest checks). Obviously a sound governance reform process is based on a risk analysis. Therefore, the IGC will consider the results of both closed and on-going investigations relating to FIFA officials. Finally, the IGC reserves the option to recommend additional investigations into the past, if it deems it necessary in order to implement its recommendations. FIFA has empaneled a committee focused on helping the organization to reform itself in the direction of „good governance.“ Sepp Blatter calls the committee the „Independent Good Governance Committee.“ However, media reports and readily available information shows that the committee is far from independent. Below are the members who have been announced for the committee and my judgement on their independence from FIFA and rationale. I add a ** to those judgments where further information would be helpful, but as FIFA operates without a conflict of interest policy that mandates disclosure of potential conflicts, information is hard to come by. I err on the side judging independence when information is lacking. NOT INDEPENDENT — Chair, Mark Pieth, University Of Basel — Pieth (or Pieth’s institution) was paid 97,979.18€ by FIFA to produce a scoping report, immediately prior to being appointed to chair the committee. Obviously not independent. INDEPENDENT — Leonadro Grosso, FIFPro President– FIFPro is an association of professional football player associations, formed in 1965. NOT INDEPENDENT — Lydia Nsekera, President Burundi Football Association — The Burundi FA is a member of FIFA. Obviously not independent. **INDEPENDENT — Peter Goldsmith, former UK Attorny General and now partner at Debevoise & Plimpton, LLC– There is some evidence that Debevoise & Plimpton may have financial ties to FIFA (e.g., in advising on a 191.37€M infrastructure project associated with EURO 2012). Such a relationship may or may not compromise independence, I just don’t know, hence the two stars. **INDEPENDENT — Michael Herschman, President of The FairFax Group –The FairFax group helps to advise companies about crisis managment and risk mitigation. 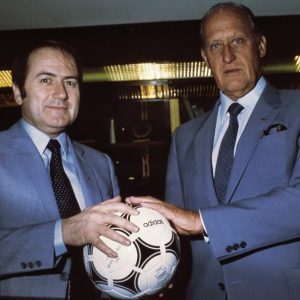 It is not known what, if any, financial relationship the Group has had with FIFA now or in the recent past, hence the two stars. **INDEPENDENT — Guillermo Jorge, Guillermo Jorge & Asociados — The firm specializes in „in the design and implementation of corporate strategies and public policies dealing with business ethics and the prevention of corruption and money laundering.“ Once again there is no information on the firm’s current or past financial ties to FIFA, hence the two stars. **INDEPENDENT — James Klotz, partner at Miller Thomson LLC — Miller Thomson is a business law firm, again there is no information available on the firms current or past relationships with FIFA. Two stars. NOT INDEPENDENT — François Morinière, CEO of Groupe L’Équipe – Groupe Amaury — This corporate entity is a corporate partner with FIFA for its Ballon D’Or Award. NOT INDEPENDENT — Sunil Gulati, president US Soccer Federation — USSF is a member of FIFA. Obviously not independent. If I was a reporter, I’d be asking the 6 members with two stars to disclose publicly their financial relationships with FIFA (or lack thereof). If they are unwilling to disclose such information to allow such a judgment, I’d move them to „not independent.“ But in this exercise I have erred on the side of judging independence of these organizations, but absent disclosure it is not at all clear that such a judgment is warranted. 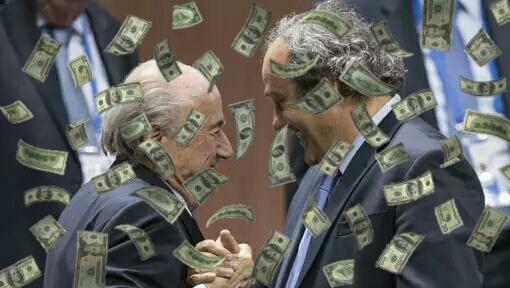 The bottom line is that FIFA’s „Independent Good Governance Committee“ is far from independent. 02.06.16Arrivederci, Gianni! Uff wiederluege, Herr Infantino! Danke dafür, dass hier Infos zu den einzelnen Mitgliedern des Komitees geliefert werden. Was sich mir aber nicht erschließt: Warum sollte Pieth für die FIFA umsonst arbeiten? 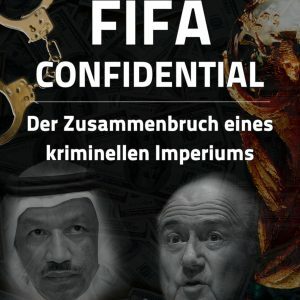 Die Bezahlung von Pieths Instituts an der Uni Basel (nicht persönlich) mit Abhängigkeit gleichzusetzen – das vollzieht meiner Meinung nach mehr oder weniger nur das Selbstbild der FIFA nach. Das Bauchgefühl sagt, es soll mit allen Mitteln verhindert werden, dass die Altherrenclique auf keinen Fall vor Verlassen der FIFA-Sessel und im günstigsten Fall auch nicht vor dem drohenden biologischen Rückzug mit den in Rede stehenden Verdächtigungen ernsthaft oder gar mit Konsequenzen in der (Fussbal)Öffentlichkeit konfrontiert wird. Das „Lebenswerk“ und das dabei en passant angehäufte Vermögen nebst Priviligien sollen unberührt bleiben. Diesem Ziel wird versucht, alles andere unterzuordnen. J.F. Tanda sagt ja, eine Aufarbeitung der Vergangenheit wird kommen (müssen). Darüber sind sich sicher alle in und um der FIFA im Klaren. Zurzeit haben sich im Sinne einer „Schadensbegrenzung“ für wen oder was auch immer, sich ansonsten auch integere Persönlichkeiten für eine zweiklassige Untersuchung des jahrzehntelangen Herrschaftsgebahrens der FIFA-Oberen entschieden. Deshalb soll solange an Reformen und Strukturen gebastelt werden, bis das Unvermeidbare nicht mehr zu vermeiden ist. Diesen unausgesprochenen Konsens gibt es sicherlich bei der Mehrheit auch angesichts des kreisenden Kelches. Englisch! Sehr schön! Du solltest alle Texte (auch) auf englisch veröffentlichen! 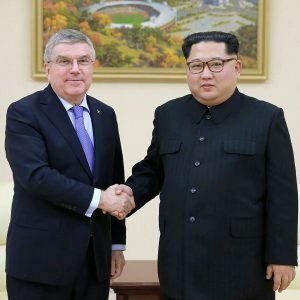 Die „rechtliche Sonderstellung des Sports“ situiert diesen (bzw. dessen Verbandspolitik, – geschäft und -freiheiten) direkt inmitten der von ihm als der Ausnahme bestätigten (und insofern offenbar per definitionem unsportlichen), regulären Rechtsordnung – bzw. in den Händen des Clans, der diese (heute freilich auch nicht weniger privatim denn je) handhabt -, also als ein schönes, rechtsfreies, eben anomisches, zwingend im Sinne der governance jener Mächtigen, der Festigung wie Verteidigung ihres mythischen, gottgegebenen, wie schon gesagt unsportlich gebenden, gewährenden und nehmenden Anspruchs mit allerlei show-business, Beliebigkeiten, Gefälligkeiten und weiteren Möglichkeiten (wie etwa Propaganda, Trara, Schiebung, Korruption und Konkurrenzvernichtung) auszustopfendes Loch. Wie wär’s also mit einem reset governance attempt? 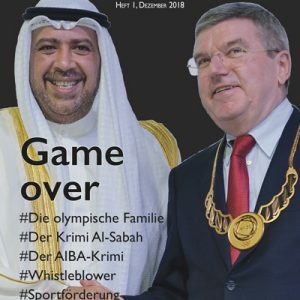 Ja, pecas, auch das ist eine fundamental issue, die im Dschungel des andererseits wohl durchdesigntem Konstrukts der hinzunehmenden Axiome des professionalisierten Sportbetriebs nicht herausgefordert wird. Es soll scheinen wie von Gott gemacht. Geht man im Dickicht weiter, kommt man zur 5- 6 jährigen Dauer eines CAS-Urteils für ein angenommenes sportliches Vergehen. Was all das noch mit Sport zu tun hat, könnten nicht einmal die CAS-Richter – bekannt für ihre in sich geschlossenen und ansonsten immer öfters lebensfremden sportrechtlichen Postulate – begründen. Just business as independent governance in sports. 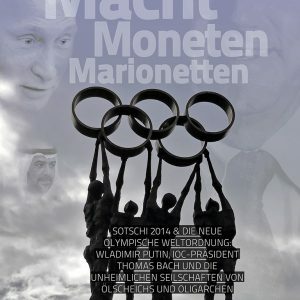 der CAS ist doch nur ein weiterer teil der schweizer sportmafia, siehe z.b. die entscheidungsverschleppung in der doping-sache contador.